The United Airlines PR department has been extremely busy. 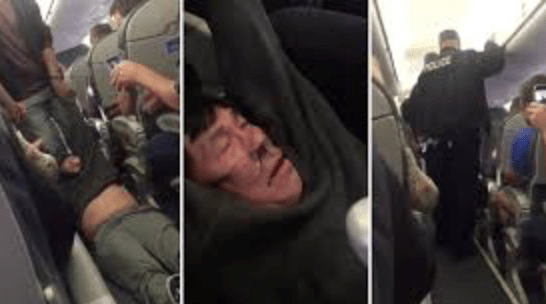 All of us watched in horror as the police dragged a United passenger from a flight. The age of social media requires delicacy, professionalism, and, sometimes, rapid response. Companies and organisations must be on top of their game, including those of us in the non-profit sector. This United Airlines situation was not handled well by any stretch of the imagination. Twitter and Facebook are not just used for positive and social reasons. Every company and non-profit needs to be prepared to respond to customer complaints/issues 24/7. The joke emojis on social media continue more than a week after the incident. This story likely went viral before the plane even left the ground. eMail is never private and confidential. eMail may be forwarded externally, as the United CEO found his internal eMail to staff forwarded to the media following this incident. Blaming the customer is never a good idea. Someone even investigated the passenger’s past and surfaced unrelated information. This information was released to the media. The focus of the story became about the man’s past rather than about the incident or the situation, which caused the problem in the first place. In the end, the way United Airlines handled this situation caused them more harm financially than it would have cost the airline to hire two pilots to fly the passenger and his wife privately to their destination. The financial impact of this story goes well beyond the 100+ passengers on the flight. On top of the reputational problems United Airlines now faces, the airline will likely face a lawsuit and ongoing/further financial ramifications. I have never lived at my parents’ address in New Mexico USA. Yet, one charity thinks I currently live with my parents. In fact, this one charity has sent seven acquisition pieces in five months. I am not against charity acquisition mail. In fact, I welcome it and believe it is a necessary part of the charitable direct marketing mix. But, what puzzles me is why this particular charity thinks I live at this address. Even more, I wonder how the charity associated me with my parents at this address when, in fact, I’ve not lived with my parents for 33 years and never lived in the US state of New Mexico. 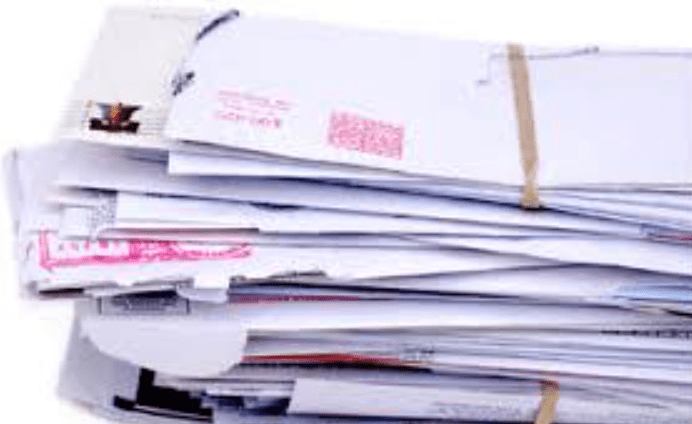 The direct mail pieces include membership offers, as well as return address labels. The address labels look fantastic. I wish I could use them; however, to use them will mean I will attract even more mail to my parents’ address! I have a responsibility to contact this non-profit organisation to ask where my name was acquired. Informing them will solve the mystery and will also save the charity postage, mailing, and material costs. Most recipients will not exercise this responsibility and will, instead, let the issue bother them or, worse, discuss it with others. (Okay, I am blogging about it; but I am not naming the charity directly). The charitable organisation, likewise, has a responsibility to cease mailing me at my parents and to investigate the source of their data to see if an algorithm or some other issue caused names like me to make it onto the file. Organisations may lack the expertise or the right person to conduct such a review. Not every staff person of a non-profit organisation is best suited to study business processes. Event leaders or managers may lack the skills necessary to lead a review. Often times, the person who has guided the processes for a set time frame is the worst person to review the same processes. Many times it requires someone from the outside (outside of the business unit or outside of the charity itself) to conduct the review. A facilitator – someone who gets along with all types of personalities and who can guide change – even when there is resistance to such change. A change manager – someone who has coordinated change efforts and navigated choppy waters prior. A real champion for change when change is needed. An enabler – someone who enables others to facilitate their own change. Someone who can make others a cheerleader or advocate for change. This person spreads the excitement for change across the business unit or organisation. Why do we do “X” this way? How long does it take you to perform “X” task? What would it take for you to perform “X” task in ½ or ¼ the time? Have we searched for a better way to perform this task? Should we outsource this task? Is there a way for technology to aid in this task? The facilitator of the review process needs to document all discussions and make recommendations for each topic area. A report should be issued and should contain an action plan. The report should be reviewed with the team involved and with organisation leadership. The action plan should contain a timeline, assigned resources, and any associated costs. Ultimately, the action plan needs to be committed to by leadership. Consider the value of each process. Highlight what is working well with various processes. Recommend changes required for any process requiring change. Document an action plan for change needed. A process review might be best conducted as part of the annual strategic planning process. Some organisations conduct business process reviews when considering a search for a new constituent relationship management (CRM) solution. Others conduct reviews when a crisis or issue arises. In the end, a non-profit organisation cannot be well placed to achieve its goals without, at the same time, ensuring business processes are clean, buttoned down, and as efficient and effective as possible. FundraisingForce conducts regular business process reviews for non-profit organisations. If you need assistance with your business process, contact FundraisingForce today. Do the politics of Donald Trump help or hurt non-profits? Most of us are passionate about one or more causes. We choose to support and advocate for non-profit organisations best representing those causes. Government policy and funding (in some cases) dramatically impacts the progress our causes make over time. When there is a reduction in government support for what we believe in, we rally and become even more passionate (some might call it militant) about the cause. 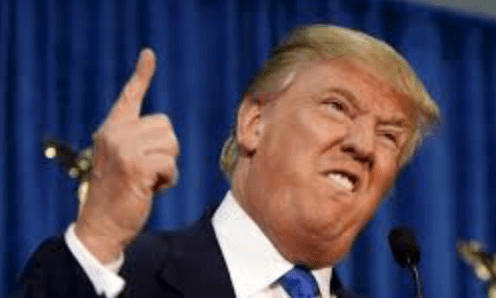 US President Donald Trump and his administration may be hurting the causes some charities represent, but he may be helping them to rally the troops of supporters and to ultimately assist in the organisation’s fundraising and advocacy efforts. The problem for some non-profit organisations is the fact that a reversal in political policies in healthcare, medical research, culture, and the environment may, in fact, set organisations and the causes they represent back decades. As supporters and advocates, we feel the need to be there for the organisations we support even more today than, perhaps, we were during the last presidential administration. I suspect that the likes of Planned Parenthood, National Public Radio and Public Broadcasting Service, any number of environmental and conservation groups, and healthcare and medical research institutes are seeing those most passionate about their organisation give more money and time as they try to fight the wave of cuts in public perception and funding. These people believe women’s health, public broadcasting, climate change, and research into and care for chronic and fatal diseases are vital to our lives and to the welfare of a nation. Citizens are not going to give up just because the current US president wants to change priorities. People are going to double down and ensure the work they have achieved, that their marquis non-profit organisations have achieved, won’t be for not.